Turn your Hurtigruten voyage into an authentic Norwegian adventure. Read about the new expedition-style concept, find out how to make sure you see the best natural attractions on your trip and decide which Hurtigruten activities and excursions that suit you. Norwegians have an active, outdoor lifestyle with a real sense of adventure. For an authentic experience, try Hurtigruten’s new expedition-style coastal voyages. Sample Norway’s rugged coastline with a local expedition team that will take you on an exciting trip through their homeland, bringing your journey to life with first-hand knowledge and anecdotes. Four of Hurtigruten’s coastal ships (the MS Nordnorge, MS Nordkapp, MS Nordlys, and MS Spitsbergen) are dedicated to the new concept. These ships offer all the activities and services you would expect on a Hurtigruten voyage but with specially chosen excursions, a series of hikes in selected ports as well as daily lectures about flora and fauna, fishing traditions, polar and Viking history as well as geology, glaciology, and climate. Bookings can be made on tel 0203 411 8114. From kayaking to quad bikes – how will you explore? The Norwegian coast is a fascinating destination with so much to offer, whatever the time of year. With more than 50 activities to choose from, it is easy to create your own Arctic expedition with Hurtigruten. Active shore and water excursions range from easy to advanced and include dog sledging, snowmobile trips, hikes, horse riding, speedboat tours, and kayaking. You can even explore the city of Trondheim by kayak or bicycle. Animal lovers are spoiled for choice and can opt for whale and sea eagle safaris, bird-watching or reindeer spotting tours. Or, for a trip with a difference, why not try a mountain hike accompanied by huskies. If you are interested in Norwegian culture and traditions, informative sight-seeing tours are a must. Make sure you visit the Viking Museum, meet the local Sami people, or enjoy a midnight concert at the Arctic Cathedral in the Arctic capital of Tromsø. Bookings can be made by phone on tel 0203 411 8114. Hurtigruten is a Norwegian cruise operator founded in 1893. Their 15 coastal ships sail almost the entire length of the country, and the journey has become known as the “World’s most beautiful sea voyage”. The original route takes you from Bergen to Kirkenes through islets, archipelagos, and towns – some of which are unreachable with ordinary ships and cars. Hurtigruten calls on 34 ports along the northern coast of Norway, each of which adds local ingredients to your culinary journey. You can get a sense of the diverse landscapes of the Norwegian coast by sitting on the deck of your ship. However, in order to get under the skin of the country, you need to jump ashore, wander through the local communities and come face to face with the wildlife. Whether you want to see puffins and gaze at the sea eagles, meet reindeer and the Sami herders or take a fishing trip, there are plenty of opportunities on a Hurtigruten voyage. Given this is a coastal voyage, it is no surprise that fish and sea-dwelling creatures appear on the route. One of the highlights has to be catching a King crab before it is prepared for your lunch. 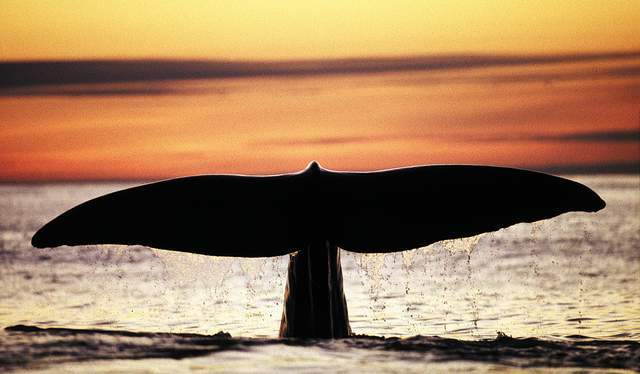 Or experience the world’s largest mammal on a summer whale watching safari. No visit to this part of the world would be complete without seeing a husky, whatever the time of year. While husky sledging may seem like a winter activity, travel to the Northernmost point of the Hurtigruten voyage and you can be pulled across the frozen Arctic by a team of eager dogs as late as early May. An excellent system of passenger and car ferries makes it both easy and pleasant to travel to even the most remote parts of Norway.